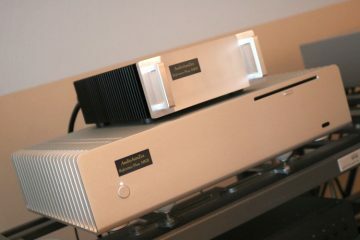 Review sample kindly supplied by Frederic of Klinkt Beter, developer of the 432 EVO music server. 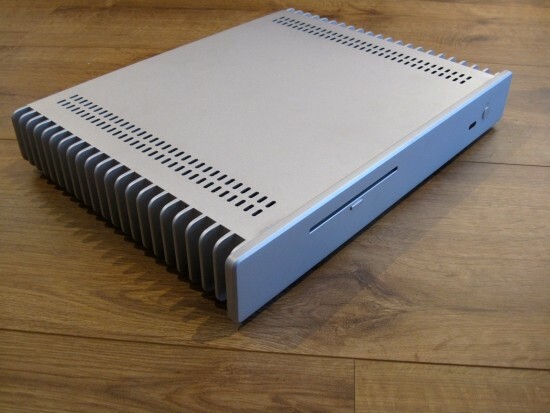 The 432 EVO comes in many different configurations such as black or silver case, with or without internal rip facility and with various hard disk sizes. These configurations are then available in a standard version (standard switched power supply and standard USB output) from 1995 euro and high end version (double linear power supply and high end USB 3.0 output) from 3660 euro. 2TB disk, Silver casing, with internal rip facility, dual linear power supply and high end USB 3.0 output. 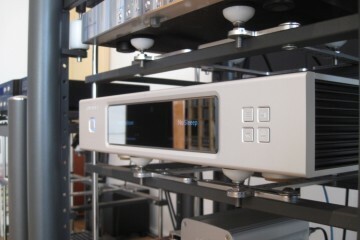 The EVO, like my own AudioAanZee Ultra Flow, is based on vortexbox linux music server software. 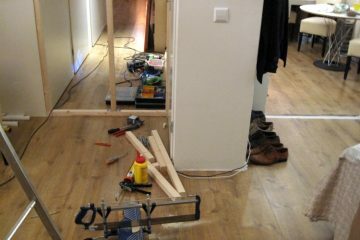 Although technically savvy people can build a basic vortexbox themselves, the difference really is in the details. 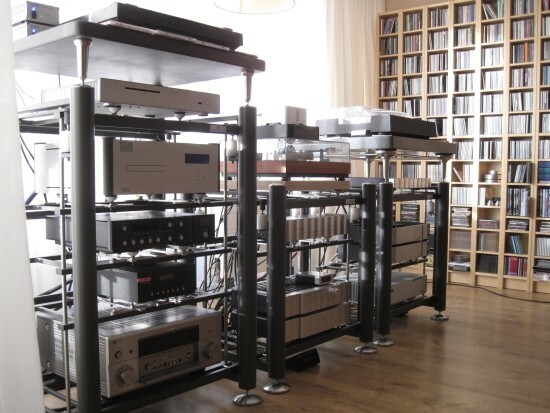 In the case of the EVO, this is evident from the care taken with the elaborate power supplies, the careful matching of components and the rewriting of parts of the vortexbox software, for example the MPD player. These efforts combined make for a music server that sounds much better than standard solutions. But Klinkt Beter take it one step further with a unique take on the matter, by adding their proprietary 432 processing to the mix. The 432 processing is chosen by means of a plugin which can conveniently be enabled/disabled from the control app. The 432 in 432 EVO refers to 432 Hz, and is one of the possible frequencies used for tuning acoustical instruments in the keynote A. Over the coarse of the last centuries, the tuning for keynote A has changed, from 415Hz via 432Hz to the current 440Hz, ever since WW2. 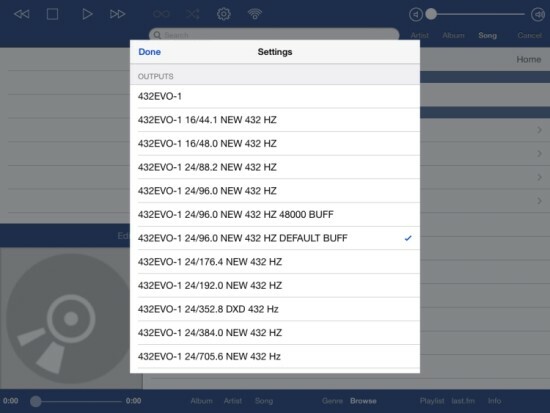 More specific to this review, it is processing software developed by Klinkt Beter, based on research done by Maria Renold on the perceived differences between 440Hz and 432Hz. Maria’s research was carried out with a group of more than 2000 people, which were presented pairs of tones along with their octaves, at 440Hz and 432Hz, and over 90% of the people chose 432 as sounding, amongst others, more “peaceful” and “pleasing”. Converting to 432 Hz can be done in a number of ways, and although I have not tested any of the alternate methods myself, most of them are said to result in music that sounds more relaxed, but also off-tune, destroying micro detail and spectral imaging in the process. For example the method using normal pitch shift which lowers the pitch but retains tempo, will apparently cause resolution loss and kill the upper harmonics. 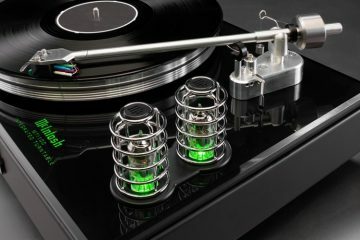 Another method to convert to 432 Hz is by using speed shift, which is best demonstrated by playing a record on a turntable at a slightly lower speed. The 432 Hz method does exactly the same and lowers the speed on the fly in the digital domain, to map A=440 back to A=432. One could argue that the EVO is changing the music from how it was intended, and this is something that I cannot deny. But this is very much a theoretical matter. I always feel that if it sounds right, it is right. Whether or not it sounds right to you, is something that needs to be experienced. In any event, this method absolutely has some very obvious benefits, about which I will report further below. The 432 EVO utilitizes the 432 software in the shape of a plugin that processes the music from 440 Hz to 432 Hz in real time. 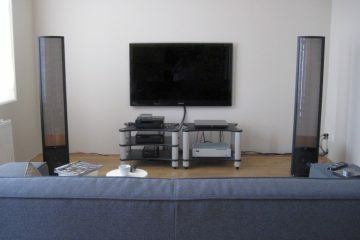 This means that the unit still plays all formats, up to DSD256. Incidentally, while most USB chipsets are limited to 24/192, the EVO will play any file in PCM up to 24/768 and up to DSD256 via DoP when playing 1:1, and PCM up to 24/768 and DSD up to DSD256 output as PCM when using 432 processing. Not only music stored on the hard drive is played this way, also streaming radio can be output with 432 processing. 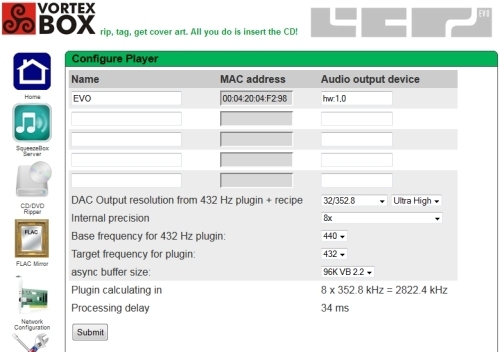 The 432EVO’s physical output can be native or using the 432 software, and in case of the latter, Klinkt Beter can customise the plugins to match the DAC of choice. In my case this is the Jeff Rowland Aeris, which allows a maximum of 24/96. For this reason, my EVO was outfitted with a plugin reprocessing the music to 432, as well as upsampling to 24/96. 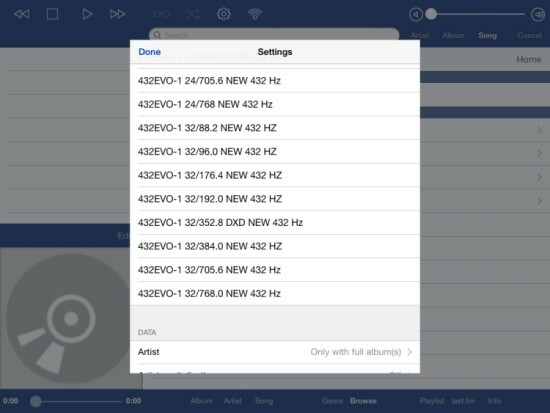 There are many more options to choose from such as 16/44, which can be useful for older DACs, when playing high res material, which is then effectively downsampled, or multitudes of 44.1, like 88.2 or 176.4. Absolute multiples tend to sound tighter than rounded off figures like 96kHz when playing CD derived files. For the purpose of this review however, I have stuck with using only two modes: standard (no resampling/432 and 432 upsampled to 24/96. 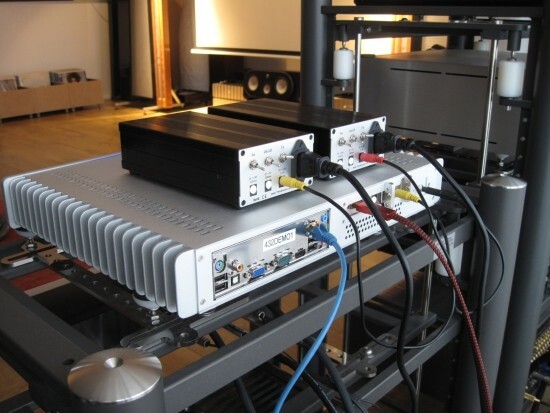 The 432 EVO unit on test is the most elaborate High End version that Klinkt Beter offer, with dual external linear power supplies, one for the USB card and another for the rest, as well as a high end USB 3.0 output. 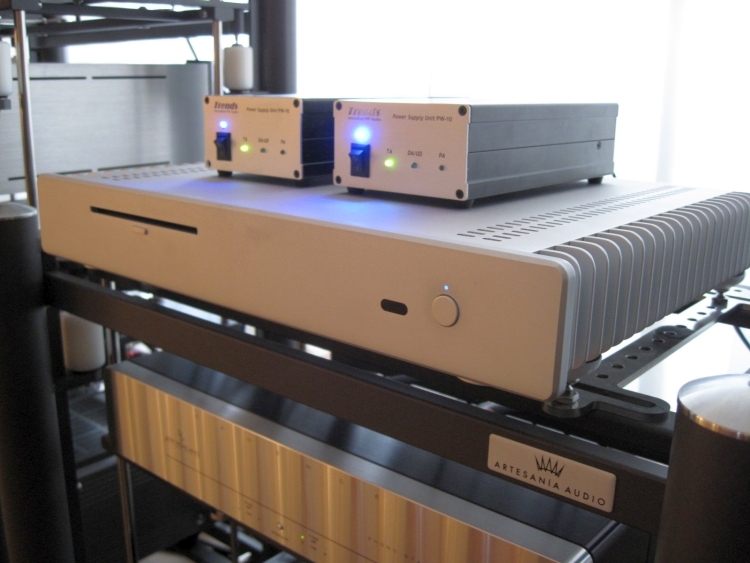 The power supplies by themselves are of a large influence on the sound all by themselves, but are not solely responsible for why the EVO sounds the way it does. The trick is in the combination with 432 resampling and this is what makes the 432 EVO unique. In addition to playing music stored on its internal hard disk, the EVO can also make use of various streaming services, but for the purpose of this review, I have focused only on the 432 aspect, it being the EVO’s main selling point. As mentioned, the EVO uses VortexBox software, and although I have been using version 2.2 with MPD on my own AAZ Ultra Flow, AAZ now use version 2.3 and SqueezeLite. The EVO handed to me was also outfitted with VB2.2, which made direct comparisons easy using the same app. The EVO is controlled by means of an iPad, iPhone or Android device. I don’t have any Android devices but have seen MPDroid in action on Frederic’s tablet when the EVO was installed at my place, and from a quick glance, the way that it works is very similar to the way I use mPad under iOs. For the iPad and version 2.2 there is the mPad application, which works really well, and is the app I used for this review. Do note that with version 2.3, MPD is no longer used and as a consequence mPad is no longer compatible. The best app to use with 2.3’s SqueezeLite in my opinion is iPeng. Although it was MPD that was originally tuned by Klinkt Beter to include 432 resampling, they have also added the 432 plugin to SqueezeLite, in addition to the tuning of various Linux parameters, which means that there is no reason to choose the older 2.2 over the newer 2.3. There are plenty of output settings to choose from. Above is an mPad screenshot using VB version 2.2 on the iPad. For VB version 2.3 mPad cannot be used, therefore these settings can alternatively be found using the web interface, as can be seen below. The 432 EVO has the exact same functionality as my AudioAanZee UltraFlow music server, so I won’t repeat everything I wrote about the possibilities within mPad. Suffice to say that everything you need is in there, and short of the extensive Focus and Multi-Tagging functionality, it is almost Meridian Sooloos (now MDMS) level, which for those who don’t know MDMS, means that it is amongst the best music server control systems I have used. 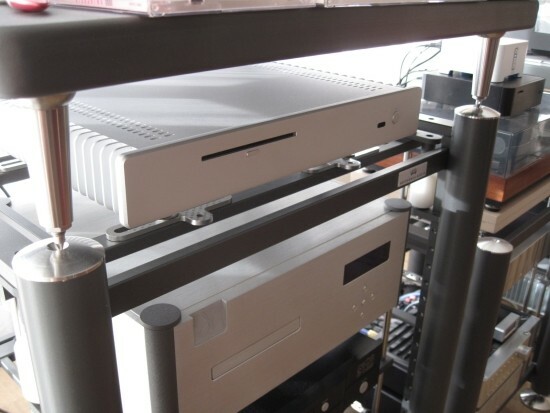 The first few pictures show the 432 EVO sitting on the middle rack with its power supplies on top. This wasn’t how I used the server though. 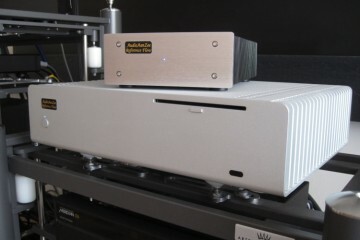 Instead, it was set up on top of the highest Artesania rack, with its power supplies on the Turntable Platform above it. 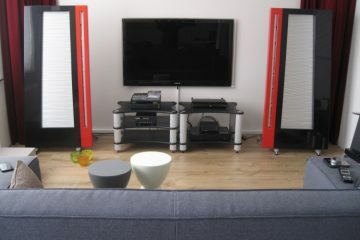 The unit was installed in my listening room by Frederic personally. 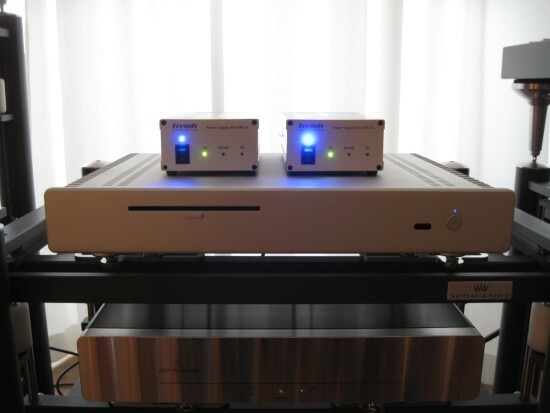 It was set up on the top level of the Artesania Exoteryc audio rack with its 2 power supplies on top of the Turntable platform. 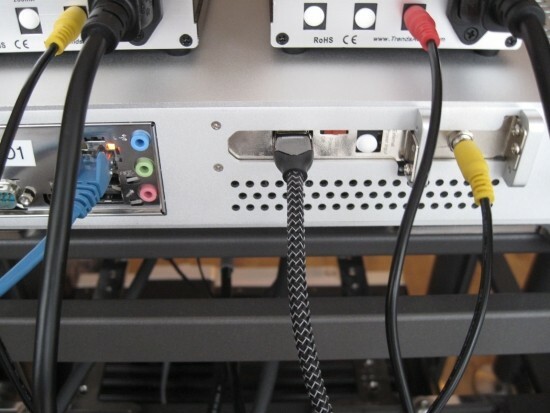 Power cables used were the standard ones that are supplied with the product, and the USB cable used were initially the KingRex uART S and in a later stage the AudioQuest Diamond. Frederic also provided the necessary background info and tips, and also handed me what must be one of the most comprehensive user manuals I have seen: all the info you need is explained in comprehensible language, and large laminated diagrams are added, showing clearly how to make the connections. Already after the first tones (with 432 plugin enabled) it was evident that this server sounds a lot different from what I was used to from my AudioAanZee Ultra Flow with the same USB cable and DAC. This was without direct comparison however, and with Frederic’s special test track to which I have no reference myself. So I quickly loaded some of my test material from the UltraFlow onto the EVO and resumed listening. Consecutive comparisons indicated that my feeling was right and that the 432 EVO does indeed have a sound quite of its own. Most obvious is the soundstage, which is just about as wide as with other music sources like the AAZ through the Aeris or the Wadia 781i direct, but a lot deeper and better layered. Indeed: better than the Wadia’s soundstaging, and that’s not something that happens very often. The second obvious difference is that the EVO has a warmer, richer tonality than the average digital source, my current sources included, when playing into the same Rowland Aeris DAC. 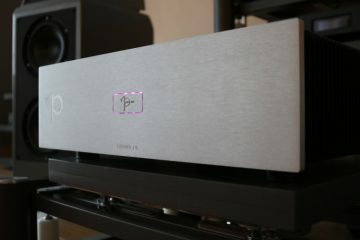 Lastly I have to admit, and most friends who dropped by agree, that the EVO does indeed invoke more emotional involvement by the way that it handles voices and strings, combined with its relaxed nature and deep, layered soundstage. 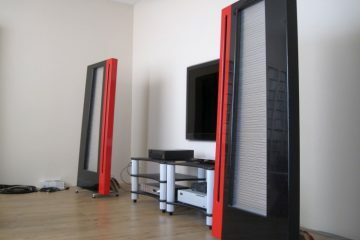 I played all kinds of music apart from classical, and with most tracks, the EVO sounded very convincing. I mentioned the emotional engagement above and this is a weird phenomenon: it’s like something happens on a subconscious level. In some ways, voices in particular, sound more emotional and more “analog”. That is to say, I have 3 turntables permanently set up, and in comparison to real analog, the EVO still won’t be confused for a record player, but it does share some aspects of analog that are normally difficult to achieve in digital, which is the deep, layered soundstaging as mentioned above, but also a very long decay on sustained notes, as opposed to falling off too rapidly into a black silence. This is something that analog records do extremely well: to have instant transient speed combined with seemingly eternal decay on sustained notes, one of my favorites being Rhodes piano. This is only one aspect of analog playback, but one that I find to be one of its most important ones. To me, the EVO handles voices and strings in a manner more akin to analog, and it does this better than any other digital server I tried thus far. But digital is different than analog and each have their particular strengths and weaknesses. Digital cannot completely mimick analog nor the oter way around, and while I found that the EVO sounded undeniably better with voices, strings and Piano, than any of my other digital sources, highly articulate and “spikey” instruments like guitars, were the dividing factor. I found the EVO to be less convincing if transient sharpness was called for instead of harmonics. I like to listen to The Rippingtons, Russ Freeman and Fourplay, and these artists usually have a mix of downtempo and uptempo tracks on their CDs. Sure enough, the lower tempo, soul-like harmonics-driven tracks sounded utterly convincing on the EVO, making other digital sources sound devoid of color, but with the fast-paced, dynamic tracks, I was missing some articulation and attack. Playing the same tracks on the AAZ UltraFlow/Aeris, or on a CD with the Levinson 37 CD transport/Aeris, I found that the guitars on these faster-paced tracks sounded more alive and exciting and thus indeed more convincing than with the EVO. While I am pretty smitten with the EVO’s midrange (voices and strings particularly), the AAZ Ultra Flow counters with better pace, dynamics and drive. If the EVO is better at mimicking analog’s midrange sensuousness and sustain, the UltraFlow is better at mimicking analog’s transient quickness and nimbleness, while remaining fluid. All listening thus far was done with the 432 plugin enabled, and the output being upsampled to 24/96. It was now time to check the influence of the 432 software, so I de-selected the 432 output and enabled 1:1 standard output. This was the proof of the pudding: the sound was still rich, but the soundstage shrunk to normal proportions. Bass became quicker, and the midrange a little more articulate, but I found that the special emotional binding that I had with the music was now mostly gone. I repeated these tests with various friends on various occasions, and the result was always the same: keep 432 enabled! In switching 432 on and off, it did seem that the bass was slightly less articulate with it enabled, but this was only a very small difference. 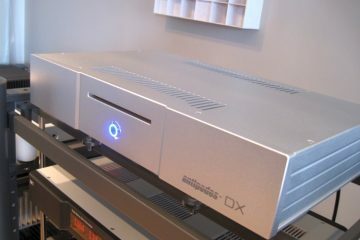 I think it is more likely that the EVO has its elaborate linear power supplies to thank for its fuller and richer tonality. Switched supplies generally help create a faster and more articulate sound, but are often dirty and can pollute the other components in the system if they are not designed carefully. As always, there are benefits and tradeoffs to any technique used. Near the end of the review I also tried the Audioquest Diamond USB cable with the EVO and it has to be said: this was a better match than the KingRex. The EVO’s inherent calmness was still embraced by the Diamond, but its tighter bass allowed the EVO to sound more upbeat, while the Diamond’s superb coherence brought the EVO closer to my elusive ideal, improving transients and enhancing low level resolution, thereby making guitars sound more expressive and real. The EVO (as well as the UltraFLow) already has very fluid and smooth treble, and because of this the KingRex worked very well, but the Diamond enhanced this aspect even further. Klinkt Beter have found an unusual method in resampling to 432 Hz, but it really does add a dose of magic to the sound. 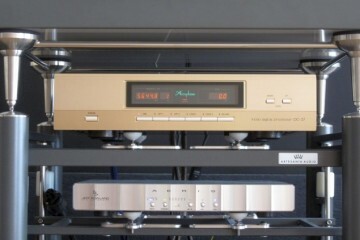 Especially when playing soulful records, the EVO creates this expansive soundstage with deeply layered sounds, voices and strings being suspended freely within, having seemingly eternal sustain on long notes, and in these parts the EVO’s presentation is reminiscent of analog playback, enhancing the emotional involvement. Some listeners may prefer a faster or more snappy presentation, but in its own right, the EVO’s utterly non-agressive music making manner convinces the listener to stop thinking, let go of the daily troubles, and relax into the music. Regarding the less “snappy” sound: this is a conscious choice in the DSP recipe used. 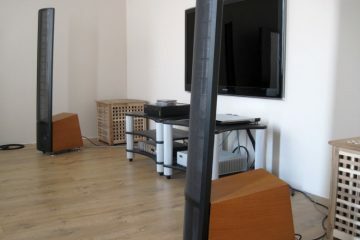 By calculating in a very high resolution for 432, we accomplish the very fluid sound you noticed. At the same time the steepyness of the transients is lessened slightly, because resampling always introduces pre- and/or post-ringing, which lessens attack in the case when pre-ringing is present. This also explains the difference in dynamics perception. Our hearing is very sensitive to pre-ringing but hardly sensitive to post-ringing. For older EVO versions we made a recipe with only post ringing and no pre-ringing to speak of, with linear phase, which made the sound very direct. This is similar to Meridian’s Apodizing principle, but in the case of the EVO, I found that although it sounded tighter and more dynamic, it also sounded sharper. Personally I prefer a gentler presentation, but I can imagine that some listeners might prefer the linear phase method when listening to music with lots of attack. At some stage we considered including both old (tighter) and new (softer) recipes in the list of outputs, but this would lead to a very long list. Incidentally this is why on our recent products the output modes all have the word “NEW” in it, and are omitting any modes for the OLD recipe. The old recipe can be reached for a big part by selecting 16/44.1 as output in version 2.2 and I suspect that you have not tested this. So, in terms of DSP tuning we are virtually unlimited, but eventually for version 2.2 we have chosen to go with the recipe that sounds best for most clients. For version 2.3 however there is the advantage of being able to choose on the fly between two resample recipes with and without multipier for extra precision, one being more direct and sharper and the other being opener and having more air, comparable with version 2.2. So, with version 2.3, the client has even more choice and can choose to change the method depending on the music genre played. did you have tested Sonore µRendu? I’m curious, since the server uses a plug-in to do the music conversion (in a seamless way), could the plug-in be used without the 432 hz server? Im just wondering if the server is necessary for a plug-in like the one they have built. Could a similar plug-in be built, say, for iTunes? And the computer just does the real-time work to process songs? I’ve done the Audacity conversion using pitch shift with tempo lock, and like you’re saying, quality is lost. Also, when the songs are converted, is the length of the track changed? I would assume a 1:00min track would then become 1:04min or something similar, after the conversion. Hi Kevin, honestly I don’t know if you could get a similar plug in with the same quality. Theoretically (if you could find it) it could run on any hardware that has enough calculation power, but the eventual sound can vary depending on the platform used. The 432 hardware is a very good basis to build upon and also sounds very good. There are several factors to it but the most important factor it seems is to make the OS do as little as possible, focussing only on playing audio, while shutting down as many other processes as possible. Indeed, the pitch shifts down and just like when doing this on a turntable, the length of the track is also extended. Any plans on trying the updated production version which appeared at Munich 2018? Hi Robert, no, I’m afraid not.